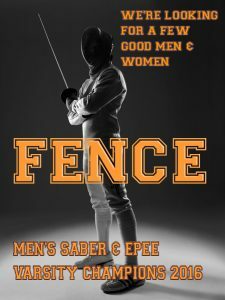 Chris Classen serves as the Thundercats Fencing Team armorer and Sabre coach. He is responsible for maintaining the team’s weapons, uniforms and gear, including our electronic scoring systems. It is a never-ending job which Chris does exceptionally well. When athletes purchase their own equipment or use the team’s equipment they are responsible for maintain their gear. Chris will teach fencers how to maintain their gear, or for a small fee will repair their gear for them. Chris’ sons have been members of the fencing team since 2015 and Chris took up saber fencing once he saw how much fun they were having. Now Chris also serves as a saber coach.